Life Freedom Family: How have we saved money this month? How have we saved money this month? I usually lump these in with The Great Grocery Project, but since my next post in that series will be a year-long recap, and the past few weeks have been crazy busy, I am giving the money savers their own post. 1. Not renting a car!! This will be our biggest save, although it is also paired with a big spend. My car is 6 years old and starting to get many small rust spots on the bottom due to stone chips and our climate/road conditions. We want to drive this vehicle for (we hope) another 5-6 years. Rust spreads like wildfire, so in order to maintain the body we sent it in for some body work. Not cheap but necessary. This left us without a vehicle, which we need for various reasons. It was going to cost between $500-800 to rent a car that would fit our car seats for a week and we just cannot spend that right now. After talking it over, my husband arranged to work from home for 3 days this week and I will drive him the other two days. His work is 70km away and involves driving across the city, so it is a huge inconvenience to do this with a baby and preschool runs for the preschooler, but I think it is definitely worth the savings. 2. Hotel Points - last weekend we traveled North to Ontario's Cottage Country for a family event. We could have done the trip in one day, but it would have meant a late, miserable drive home. We were able to redeem Mastercard points and stay at a hotel. This made the trip much more relaxing and "saved" us $400.00 (although we would not have spent that without the points). 3. Benefits Investigation - I recently changed to a new benefits plan through work. When I phoned to clarify some of the plan details I found out my old history had been wiped, and I was essentially starting as if I had no claims. Obviously this wasn't being advertised in order to avoid a flood of claims before the official start date. I immediately booked Optometrist appointments for myself and my husband and we were both able to get new glasses without paying anything out of pocket (aside from our benefit payments of course). Fantastic !! 4. Daytimer Refills - Daytimer has been my go to organizer for 20 years. I cannot give up the paper calendar!! I must write things to stay organized. Last week I reviewed all the available refill packages and changed my usual order in order to save $20.00. This change will have zero impact on my organization. 5. 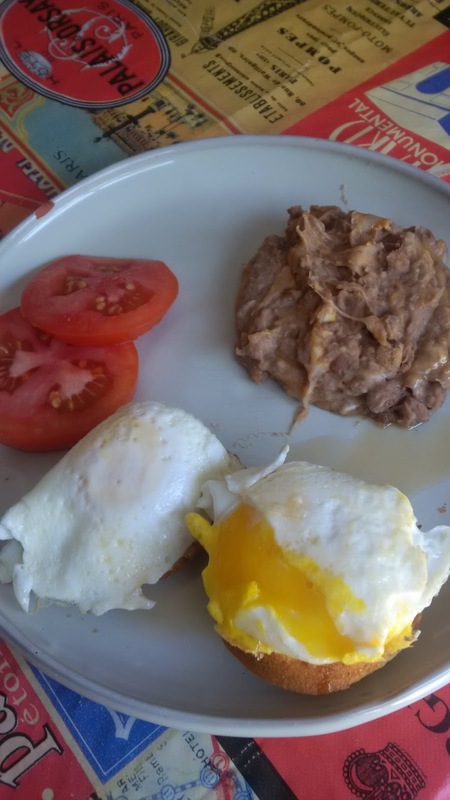 Stretching the Grocery Dollar - While trying to use up some items on hand and avoid a trip to the grocery store, I made a Crock-Pot full of The Pioneer Woman's Refried Beans. I substitute 4 cups of the water with chicken broth. I used this to make bean soup, refried beans as a side, refried beans and cheese dip, and beans with corn muffins. 6. 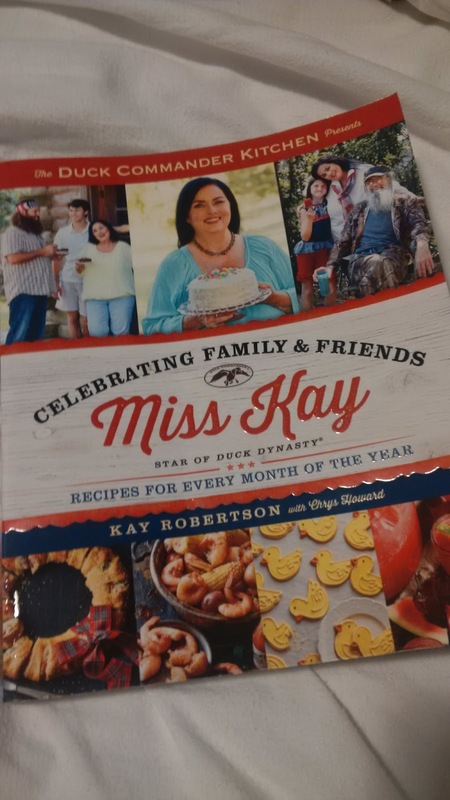 Duck Dynasty Cookbook - Have I mentioned that I love Dollorama ? Have I mentioned that cookbooks are my vice? While picking up some hangers at Dollorama, I checked the book section (obligatory because they get ends from publishers and I have had many great finds here). There, waiting for me, was a copy of a Duck Dynasty cookbook for $3.00. 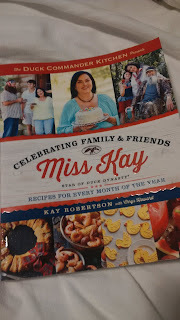 I suspected it would be full of simple, uncomplicated, delicious, Southern recipes. It has not disappointed. I made cornmeal muffins and served them with bean soup, refried beans, with eggs, with homemade jam, and on their own as a snack. I love recipes and I need a hard copy because I like to make notes in my cookbooks. I will stop here for now...but speaking of Crock Pots....if you are interested in the history of the Crock Pot, I highly recommend this article from Tablet Magazine.